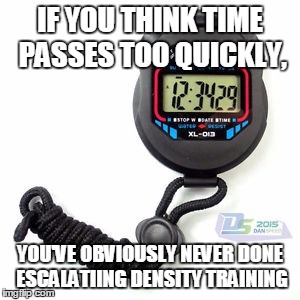 I published a couple of articles last week about Coach Charles Staley’s Escalating Density Training (EDT) Here and Here and promised to follow up with complete details of the protocol and a sample workout. I needed the time to get at least one week of using the protocol myself and work out any bugs I found before passing it on to you. One week is not a proper trial for a program I’ve never used but it is long enough for me to say I’m comfortable the program will get results. It also exposed some minor issues with following the program and gave me time towork out ways to work around those issues. And Coach Staley’s quote; “When a biological system experiences a challenge, it modifies itself in order to be able to more easily meet similar challenges in the future." Those two statements are the basis of the EDT program. There are no predetermined exercises, weights, sets, reps or rest periods. The only fixed benchmark is the clock. Here are the parameters: Much of what follows comes from my experience of doing the program for the last several days. This section makes it sound complicated but it's not. Most of this is just to make it easier for you to get started. · You will pick two opposing (antagonistic) muscles or muscle groups (for example; biceps and triceps or pecs and lats) to be done as a superset. (More on exercise selection later).Alternating the exercises without rest between (except for the time needed to go from one exercise to the other). You will find that your rest periods between exercises will lengthen as time increases-that’s OK.
· Rest 5 to 10 minutes between supersets. · Your only goal is to complete more reps on this workout than on your last workout. · To begin the superset, reps for each exercise should be about 50% of your chosen RM (For example; if you begin with a weight equal to your 12 RM, start with 6 reps). You’ll find the 6 reps will seem far too easy at first. But you will find the number of reps dropping as time increases. Don’t attempt to go to failure on any of your sets. But as you near your deadline you’ll find yourself getting closer and closer to failure in an attempt to top your last workout. By the end of 15 minutes you’ll be trying to get singles! · Maintain strict form. You’ll find yourself beginning to cheat on form after a while. Try to resist breaking form. 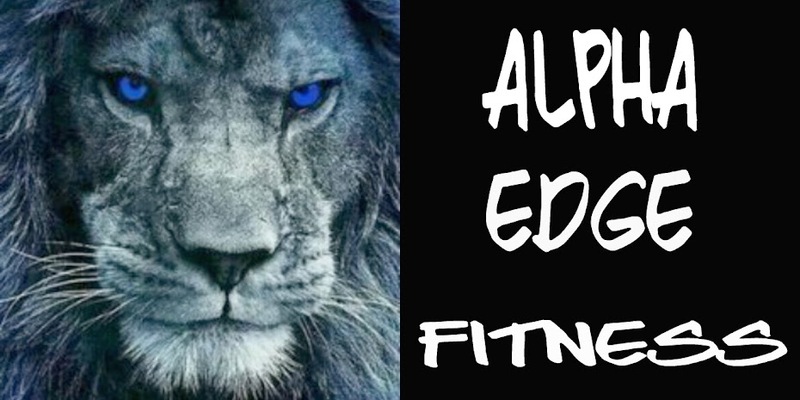 · Shy away from compound lifts at first. Except possibly dips and pull-ups. You’ll find yourself rushing (even panicking) and breaking form as the end of the time period nears. Not a good idea when doing heavy compound movements like squats, dead lifts, or power cleans. Consider leg press’ or machine Hack squats instead. · Don’t increase the weight until your rep count is 20% higher than when you started. For example, If you did 60 reps per exercise on your first workout, increase the weight by 5 pounds or 5% (whichever is less) when you can do 72 reps. Increase it again when you can do 86 reps.
· The total number of reps you hit in 15 minutes doesn’t really matter. All that matters is that you beat it next time. Beat it by as much or as little as you like-just beat it. That’s your only goal. There are a few limitations on exercise selection. The exercise parings will depend somewhat on what’s available in you gym, where the various apparatus are located in relation to one another and how busy your gym is during your workout time. You don’t want to tie up 2 pieces of equipment for 15 minutes while you go back and forth if your gym is busy. Nor do you want to have to trek across an 18,000 square foot gym during a superset if the equipment is on opposite ends of the gym. Try to pair exercises where you can use the same or similar weight for both exercises when possible. If you have a choice, use "stack" machines as opposed to plate loaded machines. Just because it saves time. Use dumbbells whenever possible-you can take one set with you to another station or machine if your gym has several sets of the same weight. Some muscles don’t have an obvious antagonistic paring as simple as bicep/tricep. Calves and Traps come to mind. Use that type of pairing when you need to. Also use less obvious parings if apparatus availability dictates. Just don’t use the same muscle group in the paring. For example, don’t pair up 2 pushing exercises or 2 pulling exercises. Using antagonistic muscles has a physiological purpose. I'll explain why in another article. · Pick two antagonistic muscles and superset for as many reps as you can get in 15 minutes.You'll do only 2 or 3 supersets per workout. · Don’t increase the weight until you can get 20% more reps in the 15 minutes than you did before. · The weight doesn’t matter. The sets don’t matter. The rest periods don’t matter. The time under tension doesn’t matter. The number of reps doesn’t matter. · The only thing that matters is that every workout you do more reps in those 15 minutes than you did last time.